Dr. Nalan Narine uses the ICON™ laser to effectively stop hair growth for men and women living in the Temecula, California area. Unwanted body hair can make you feel self-conscious and uncomfortable. Shaving, waxing, and creams can temporarily work, but such methods are time consuming and don’t always give you the smooth results you desire. Plus, they need to be repeated often. Consider laser hair removal to permanently reduce unwanted facial and body hair. Call the office, A New You Aesthetics, to learn more or use the online booking tool to set up a consultation. How do laser treatments work for hair removal? ICON laser uses a clinically-proven technology that targets and destroys the cells responsible for hair growth. The process is FDA-cleared and treatments take just minutes. On what areas is laser hair removal effective? Laser hair removal results in a permanent reduction of unwanted hair growth. You don’t have to keep up with hair growth every two to three weeks as you do with waxing, shaving, or electrolysis. 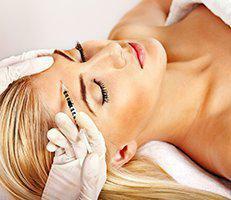 Treatments are fast and easy; they require little to no downtime. Just about any man or woman with unwanted hair growth can benefit from laser hair removal. Most skin colors and hair types can be treated. Dr. Narine can help you understand what to expect given your particular factors. How many laser treatments are required for effective hair removal results? Each laser treatment is relatively short, taking just a few minutes for small areas, such as the upper lip, and up to 30 minutes for larger areas, such as the torso. 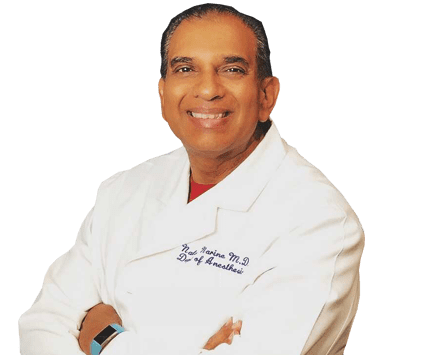 Dr. Narine recommends multiple treatments for you to achieve optimal results. She’ll establish a treatment program to provide you with the best results. Hairs grow in different cycles, so several treatments ensure you reach all of the cells in the right cycle. Unlike waxing, you don’t have to let the hair grow out between treatments. What precautions must I take following laser hair removal treatment? No downtime is required following laser hair removal. You can resume your regular activities right after your appointment. You may have some redness and minor swelling following the treatment. These side effects subside within a few days. Dr. Narine gives you specific post-treatment care information, too. Most people tolerate treatment with the ICON laser well. You may feel a light snapping sensation as the laser works against your skin.